Would be cool to see y'all in action with your Starfires. Most youtube vids are seated demos. Would be nice to see them in the wild in real use. So hurtful to those of us who play other Guild variants. As in so many aspects of life, the minority is trampled upon and disrespected! Oh the pain, the heart ache. Oh sorry, what were we talking about? During college I played my Dark Star'd Dearmond Starfire out quite a bit and my '66 Starfire occasionally, but I lost track of any photos or videos that might exist from those nights. As for the 2 or 3 years of heavy gigging and touring I did after college, I mostly used my Epiphone Jack Casady, Warwick Starbass, and a few of my frankenstein basses. All great instruments, but also all imports WITHOUT the value and rarity of Starfires. In those days the instruments spent a lot time in the truck (sometimes overnight as we did a lot of camping while on tour) and we partied hard and did a lot of improvised adventuring, so it was best to keep the treasured ones at home. Sometimes when we had a single gig, there and back home, maybe with a night in a hotel, we would take the nice stuff. 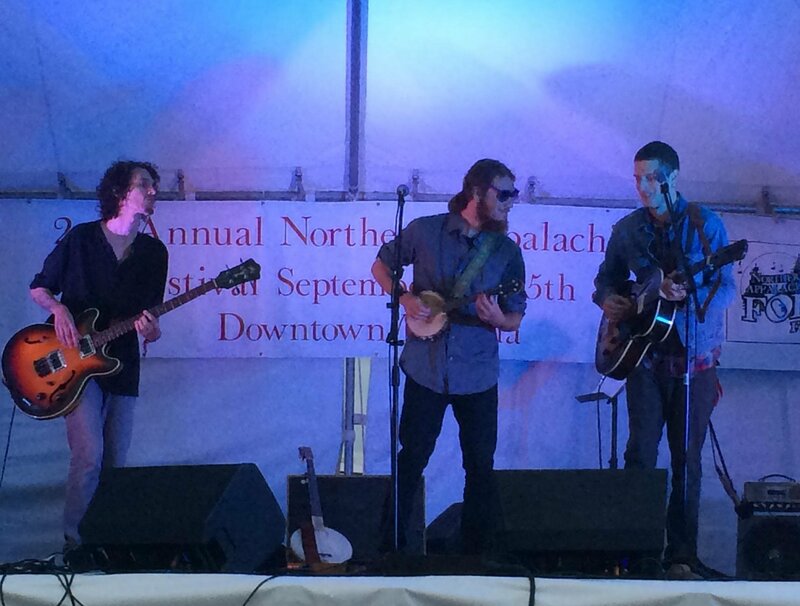 This photo from the 2014 Northern Appalachian Folk Festival is the only documentation of one of my Starfires in the wild that I know of. Last edited by mellowgerman; 02-10-2019 at 03:03 PM. We still love you, HF! I remember my days in the wilderness, with my lantern, dressed in sackcloth and ashes, crying, "When wilt there be Guild electrics? Hast no one love for Guild electrics?" It’s not a Starfire, but I’m playing a 68 Guild. A mighty righteous one, to boot! Here's my JS-II in action at a show I played with a band who had last played 40 years earlier. They dusted off the geezers and let them loose.